Dos Mosquises beach is another one of the islands of Los Roques Archipelago. It is made up of two keys and is governed by Venezuela. The Dos Mosquises North key is home to a Biology Research Station which was built in 1976 and managed by the Fundación Científica Los Roques. 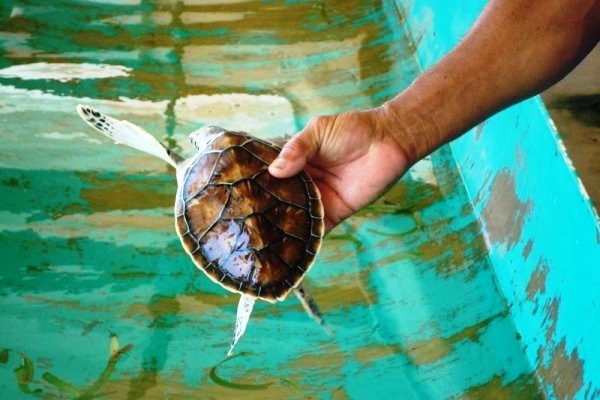 This research facility has a turtle breeding program for the preservation of sea turtles, and visitors can learn about turtle species that inhabit the archipelago. Because of this research facility, Dos Mosquises is frequently visited by researchers from various countries. To get there, visitors fly to Los Roques, although Dos Mosquises has a small airport. It is just one hour by boat from Gran Roque.